The article below was referred to me by Roland White, President of Cambridge Education Partners. According to Roland White, "This could be the issue that cements the Hispanic parents to the Republican Party." With the stroke of a pen and solid bipartisan support, Gov. Charlie Crist on Thursday ushered in the most sweeping expansion of private-school vouchers in Florida history. 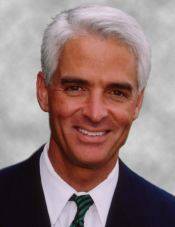 Crist signed Senate Bill 2126, which significantly increases the value of a "tax-credit voucher,'' offers more incentives to corporations to fund the program and essentially removes a cap on how much they can collectively give. "It's gone too far,'' countered Pinellas school board member Linda Lerner, who was among the plaintiffs in a successful effort to overturn another voucher program in 2006. "It's time to get legal opinion about a legal challenge." Texas! Follow Florida's lead, not Arizona's. Thanks for bringing this event to the forefront of our attention Mr. Adams. Some weeks ago, I advocated on my internet radio show and here, on TexasGOPvote, that I believed and still hope that school choice is the position that will resonate best with conservatives and also among Latinos. This issue, as you pointed out, could help the party recover the Latino vote and keep it for years or even generations. Provided we Republicans do not allow ourselves to be lead astray by nativist and other isolationist/protectionist agendas that have cost us the last two election cycles, saddled us with Obama's fascist plans, and threaten to deeply dampen the Republican revolution in 2010, just six months away!